The production values of fan films seem to have shot up in recent years, and this Left 4 Dead one is no exception. The second part in an on-going series, the film is well shot and not badly acted. It does seem to fail in capturing the tone of Valve's zombie shooter, feeling more like 'The Walking Dead' with it's sombre mood and snippets of profound dialogue, instead of L4D's all-out Hollywood action/horror blockbuster atmosphere. It's nonetheless a great homage to the games, with a terrific finale and a nice pipe-bomb throw for good measure. You can catch up on the series' first part , but expect to wait a few months for the third instalment. Whilst not yet in full feature-length form, a fan film is on the way from a group of Dragon Age obsessives. The Dragon Age Malevolence trailer looks more true to BioWare's games than the official upcoming web-series Dragon Age Redemption , mainly due to the copious amounts of blood that is splattered over every cast member. Moving from the world of reality impersonating games to one where games impersonate reality, there have been some awesome gameplay trailers this week. DICE continue to show off their incredible new Frostbite technology in the third entry in their Battlefield 3 'Fault Line' series, here demonstrating the new close combat mechanics, and an awful lot of very pretty shooting. Then Adhesive Games went and impressed us even more with some video ripped straight from a Hawken multiplayer map. It may be from a small indie team just a few men strong, but Hawken already looks to be one of the most exciting titles of the year (so long as it hits this year - we all have out fingers crossed). But with incredible mech combat, wouldn't incredible mech gear be awesome too? Who wouldn't want a bunch of expensive, pointless peripherals to use when playing Hawken? 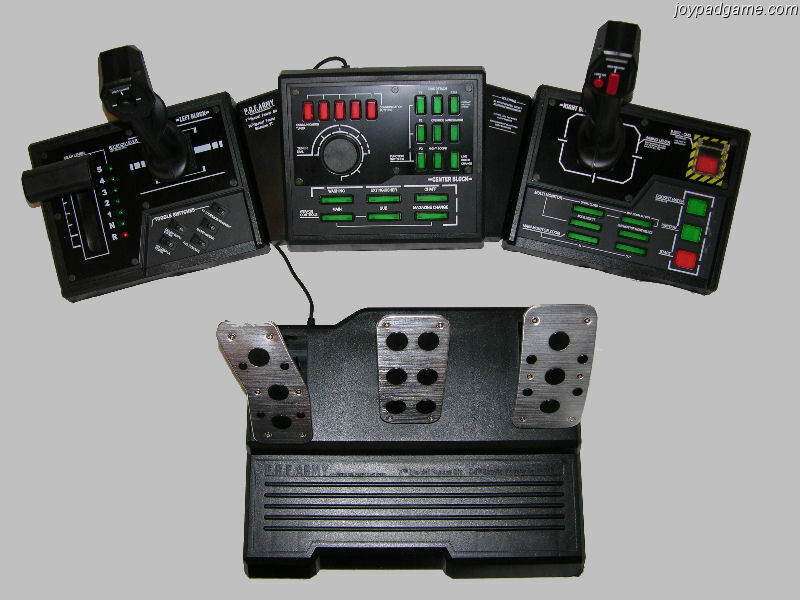 Razer or Logitech need to get building a mech cockpit controller like the one used for Steel Battalion NOW! Just a few weeks ago we showed off the trailer for Lego Star Wars: The Clone Wars. Now we have yet another trailer for a Lego game: Pirates of the Caribbean. With the Lego games coming out with far more frequency these days, you'd expect their charm to start to wear thin. But no; this latest trailer is full of Lego sweetness, and the inevitable little joke at the end of this one still brings a smile. You may or may not know, but back when Half-Life 2: Episode 2 launched, our own Tom Francis set himself a little challenge . When Valve PR master Doug Lombardi told him about the gnome achievement, he became obsessed with it. Tom carried that gnome; carried it across the WHOLE of HL2:E2. Well, the gnome is back , with a great nasty looking chainsaw and the obligatory Invaders Must Die soundtrack.